Improve the transit hub without physical or cultural displacement to residents and businesses. Deák Ferenc Square in Budapest, Hungary is a major transport junction and public park space where people gather to picnic, make music, dance, and enjoy restaurants on the perimeter. 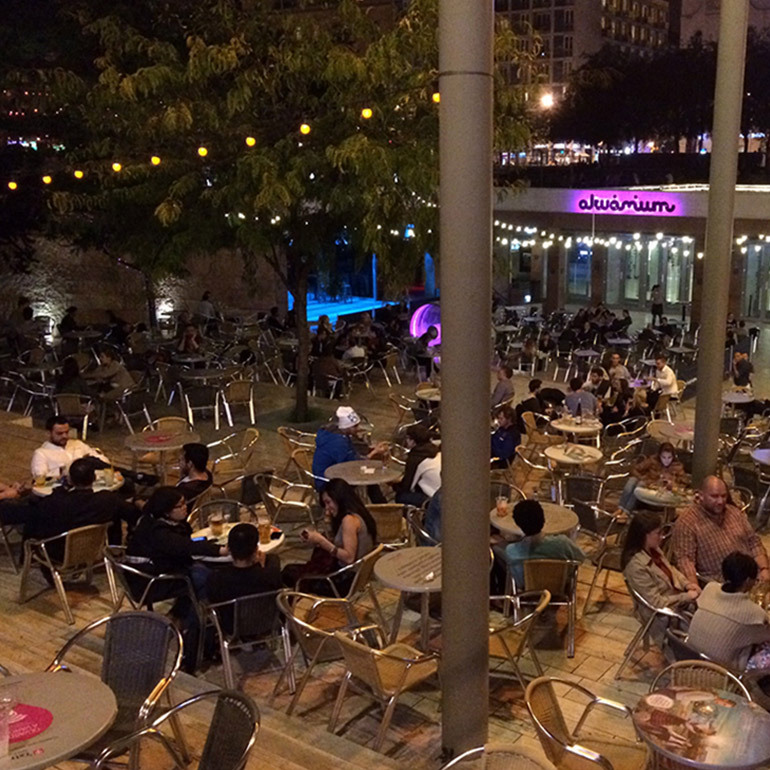 It has become a premier outdoor nightlife destination. 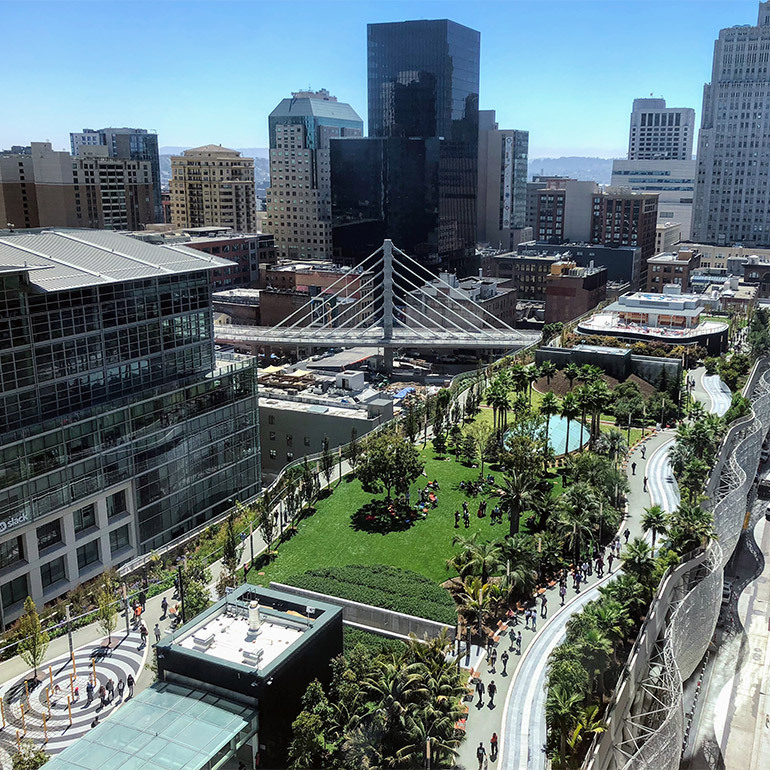 Photo credit: Janos Korom Dr.
Salesforce Transit Center in San Francisco is a regional transit hub that connects bus, trains, and high speed rail in a multi-level building complete with a rooftop public park, retail space, and administrative offices. 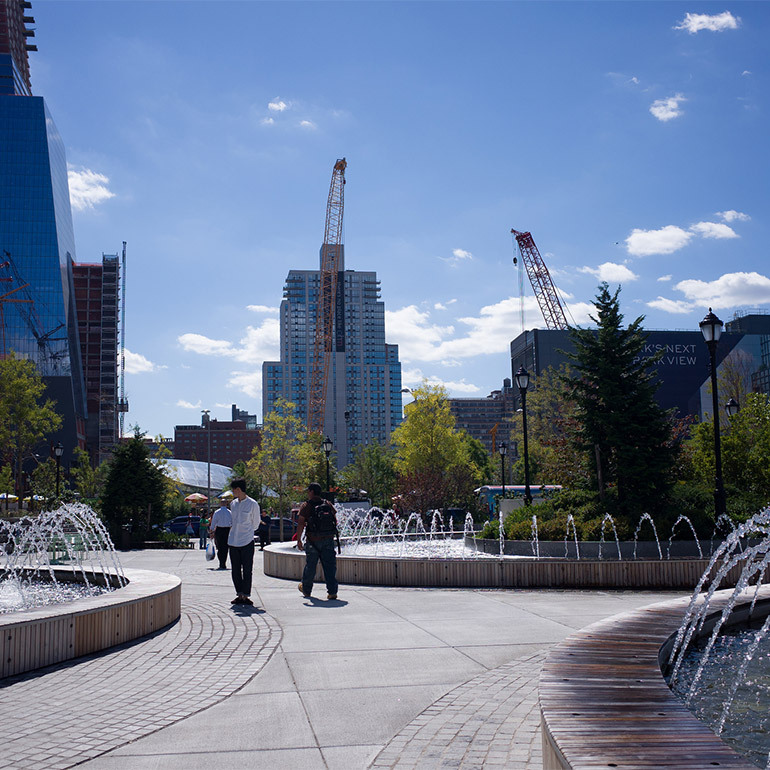 Hudson Yards in Chelsea, Manhattan is a major redevelopment of a former industrial space into a public green space, residential and commercial space, and cultural destination, made possible in part by the Metropolitan Transportation Authority.